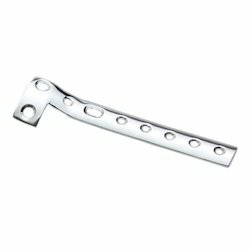 Leading Manufacturer of buttress plate, locking l buttress plate, t buttress plate, locking t buttress plate, lateral tibial head buttress plate and l buttress plate from Ahmedabad. Owing to the rich industrial experience and expertise in this domain, we are engaged in providing superior quality array of Buttress Plate. This Buttress Plate is made by using quality material which we buy from our trusted and reliable vendors. Our product range is known for its light weight nature and optimum finish. We have been counted amongst the most trusted names in this domain, indulged in offering standard quality range of Locking T Buttress Plate. 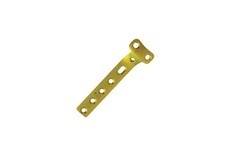 This Locking T Buttress Plate is available in different sizes and dimensions. To attain the maximum satisfaction of the customers, we provide this product at market leading price. Leveraging over the skills of our qualified team of professionals, we are involved in providing supreme quality range of T Buttress Plate. 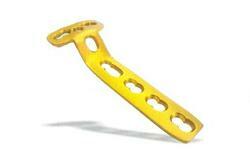 This T Buttress Plate is highly appreciated amongst customers for its rugged construction and light weight nature. 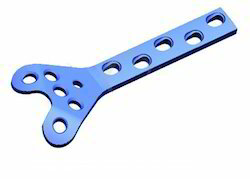 Our product range is widely used during surgical applications. 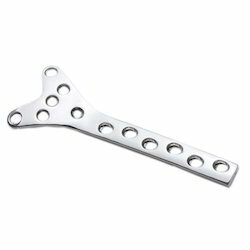 We bring forth our vast industrial experience and expertise in this business, involved in providing quality assured range of Lateral Tibial Head Buttress Plate. 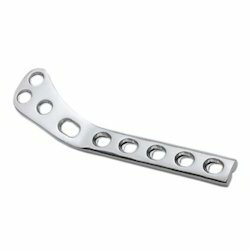 This Lateral Tibial Head Buttress Plate is checked for quality under various set norms of the industry. Our product range is designed by using advance machines and quality material. In order to keep pace with never ending demands of customers, our company provides standard quality range of L Buttress Plate. 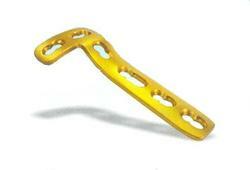 This L Buttress Plate is widely used for medical purposes. Furthermore, to get the total satisfaction of the customers, we provide this product at most competitive price.